Recently we have had a number of customers here on the Gold Coast approach us about reactive power and solar power systems. It sounds like some unscrupulous sales people on the Gold Coast and Brisbane are trying to use Energex’s changes in regards to reactive power and solar power inverters to add some fear into their sales pitches. Let’s have a look at what’s going on and try to separate the fact from the fiction. As a result, the new Energex standard requires that all solar power systems capable of exporting more than 3kVA must have a Power Factor (reactive power) Control setting activated at a designated value of 0.9 lagging. What Does 0.9 Lagging Reactive Power Mean? 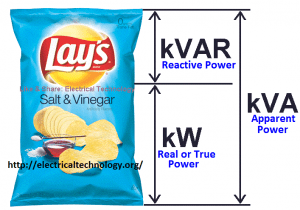 Reactive Power and Solar Power demonstrated in a chip packet, the chip packet is a certain volume but how much is actually of use to you? This is where it starts to get a little complicated, so grab your thinking cap and hold on! Have you ever heard of kVA, Power Factor and kW? kVA (kilovolt-ampere), also called Apparent Power. This is a unit of electric power equal to 1000 volt amps. This is calculated by Voltage x Amps. So a 5 kVA solar inverter at full power output would be working at 240V x 20.83A, that equals 5000VA, or 5kVA. Power Factor (pf) is a ratio (a number from 0 to 1) of true, or real power and apparent power. In the case of a 1.0 power factor (also called unity power factor), the real power equals the apparent power. In the case of a 0.5 power factor, real power is approximately half that of the apparent power. kW (kiloWatt), also called True Power or Real Power This is a unit of electric power equal to 1000 Watts. In the past it has normally been used to list the power rating of the solar inverters, and is still accurate to be used to list the power rating of solar panels, but with a Power Factor of anything other than 1 it is no longer an accurate measure to use for solar inverters. kW are calculated by Voltage x Amps x Power Factor, so a 5kW rated solar inverter set to the new Energex requirements of a lagging power factor of 0.9 would equal the following: 240V x 20.83A x 0.9pf = 4500W, or 4.5kW, but the inverter still has a 5kVA rating! What all this means at the end of the day is that any new solar power system with a solar inverter larger than 3kVA will have to be set to a reactive power rating of 0.9 lagging, and as all current residential electricity meters only measure kW not kVA this means that when a 5kVA inverter is producing 5kVA of power then 500 watts of the generated solar power will provide no realised benefit. The top 10% of the inverters output when working at peak power production will provide no realised benefit to the systems owner due to the lagging power factor, this is the difference between kW (which is measured by the meter) and kVA (which is produced by the inverter). 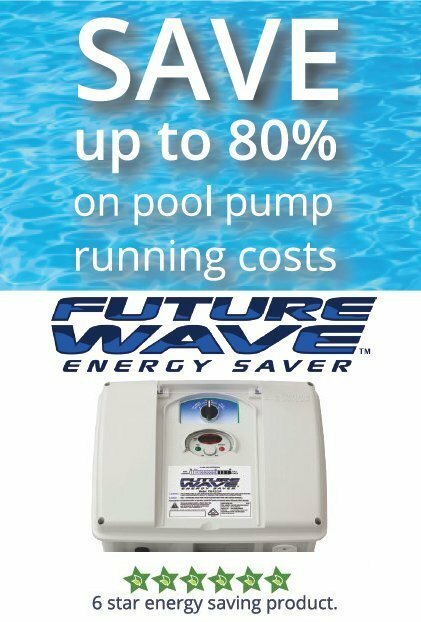 With Reactive Power Is It Still Worth Going Solar? As can be seen above a lagging reactive power factor of 0.9 potentially means 500W from a 5kVA inverter at peak power production provides you with no meaningful benefit. Obviously we would all prefer to have losses kept to a bare minimum and a potential 10% loss due to a 0.9 reactive power setting seems huge, but is it actually as bad as all that? A solar power system will very rarely produce the amount of power it is rated to produce due to various losses, therefore it will only be for very short periods where a 5kVA solar power system (as an example) is actually functioning in such a way that the 0.9 lagging reactive power setting means 500W of power is of no realised benefit. Usually the unrealised benefit would be a lot lower than 500W, and if a 5kVA inverter is producing 4.5kW or less of power then you won’t have any unrealised benefit at all; the 0.9 lagging power factor only affects the top 10% of an inverters peak power production. Even with the unrealised benefit from the 0.9 lagging reactive power factor setting, the savings from a solar power system will still provide a great benefit. If a solar power system has the solar panel array split over 2 or more different roof aspects (say half facing East, half facing West), the effects of a 0.9 lagging reactive power setting will not be as bad as a system with all the solar panels facing North as the system is not reaching a single high peak power production in the middle of the day, so this may be a better solution. Reactive power will be the most detrimental on solar power systems with solar panel arrays that have been oversized by more than 133%. This means that the kW rating of the installed solar panels is more than 133% of the inverters rated kVA capacity, such as 7kW of solar panels on a 5kVA solar power inverter. A system such as this could be losing the 500W of power for a considerable part of each day, especially if all the solar panels are facing the same aspect.. In this case a larger solar inverter would help lower the losses as the inverter would not be capping the power production as much. A way to ensure that you don’t ever have an issue with a lower power output from your inverter due to the 0.9 lagging power factor setting is to have a larger inverter installed in the first place. A 6kVA inverter installed with 5kW or 5.5kW of solar panels will never have an issue with power factor. The reactive power settings required by Energex effectively derates solar inverter by 10% of what the inverter is actually rated at, so the maximum a 5kVA rated inverter with a 0.9 lagging power factor will actually produce is 4.5kW. This really is not too much of an issue unless your solar power system has a solar panel array which is considerably oversized; say more than 6.5kW of solar panels on a 5kVA solar inverter and all the solar panels are facing the same way. 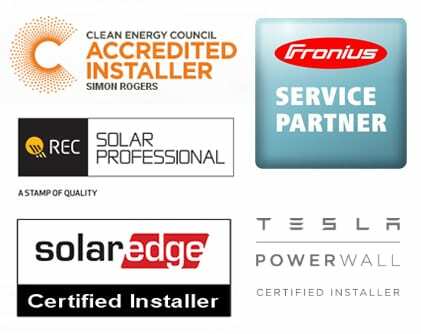 If you don’t fall into this category then you really don’t have anything to be concerned about, this is just yet another requirement that has to be allowed for by your solar power experts in the design and installation of a solar power solution to suit your requirements. You can rest assured that all the solar inverters recommended by Gold Coast Solar Power Solutions have reactive power control capabilities as per Energex requirements. 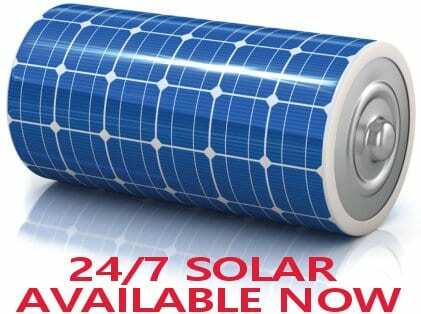 We are the Gold Coast solar power experts! Setting an inverter to a power factor of 0.9 lagging WILL NOT reduce power generated by the inverter by 10%. Setting power factor to 0.9 will only affect the real power export when the inverter is operating at > 90% of its capacity which is a very small amount of the time. Hi and thanks for your enquiry, a power factor setting of 0.9 lagging or leading (Energex require lagging) will not reduce the power generated in KVA but it will reduce the usable power in kW that we are billed for by 10%. Setting the power factor to 0.9 will affect the power generated in kW when the inverter is working at > 90% of its capacity. Re: the comment above, Energex states that this “will only affect the real power export when the inverter is at >90% of its rated capacity”.